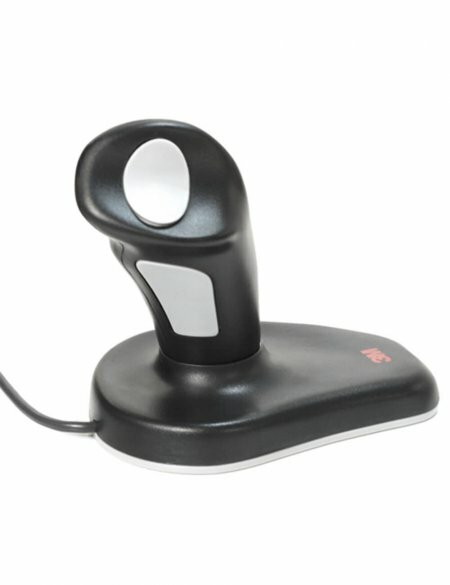 Ergonomic optical mouse earned an Ease-of-Use Commendation from the Arthritis Foundation for its patented, vertical grip design. Ergonomic optical mouse earned an Ease-of-Use Commendation from the Arthritis Foundation for its patented, vertical grip design. 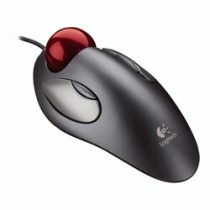 Vertical grip keeps your hand and wrist at a neutral angle while the mouse works as a regular optical mouse. 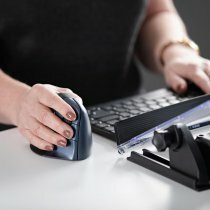 Unique, ergonomic “handshake” grip design has been clinically proven to reduce muscle strain and discomfort from pressure on the wrist’s median nerve. The design alleviates discomfort associated with carpal tunnel syndrome and repetitive stress injuries. Simply grip the handle and rest your hand on the base. Use your thumb to left and right click on the top. Third button on side lets you scroll.